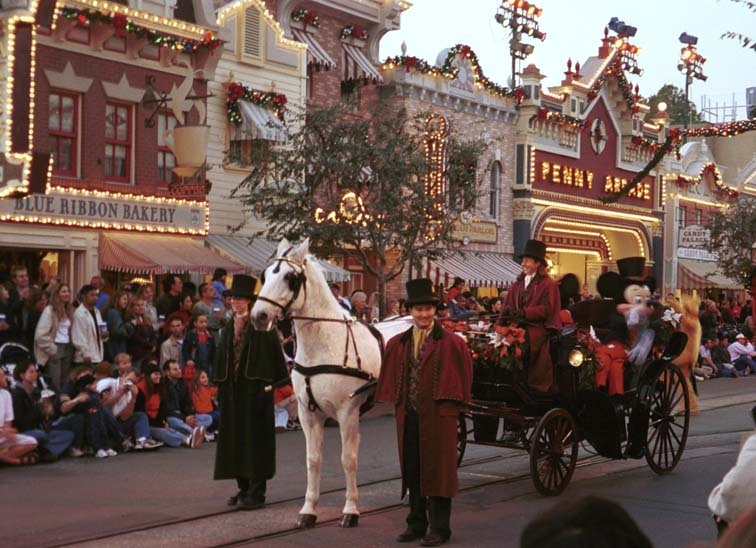 There is a parade every day at Disneyland. 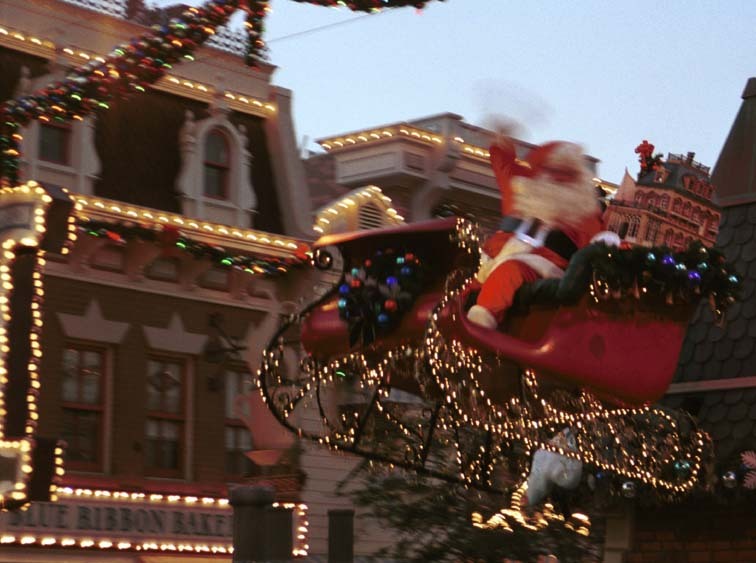 Since it was Christmas, the parade was "Believe...In Holiday Magic". The whole park had a snowflake theme - there were even a "magical snowfall" at the end of the parade - actually micro-bubbles. 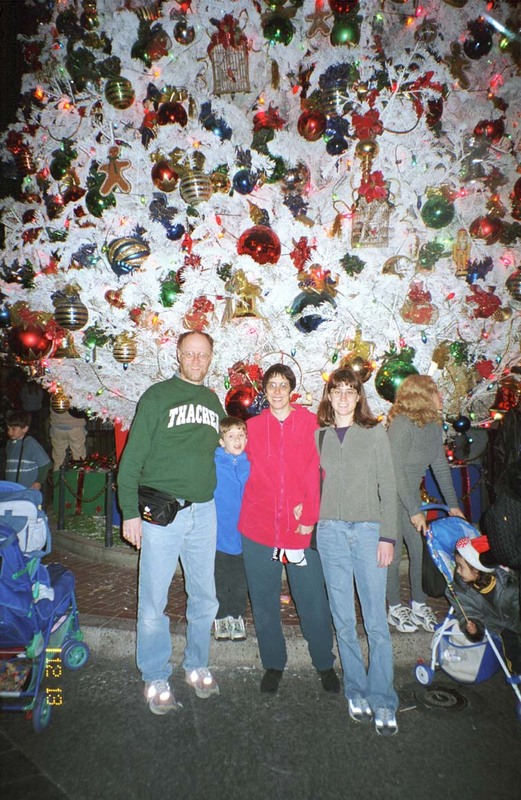 Even some of the attractions were tricked out for Christmas. The parade slowed long enough for us to take this shot. This is on Main Street. Hi, Mickey! 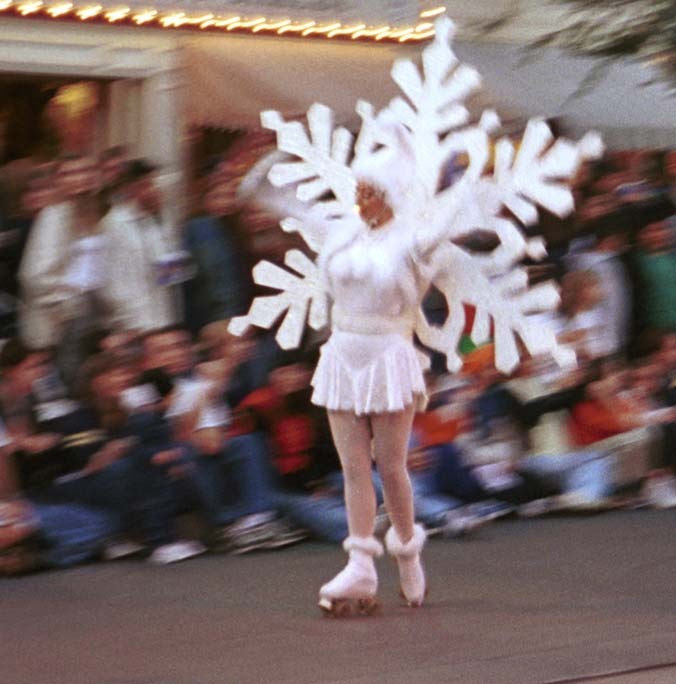 Here's one of three snowflakes in the parade. 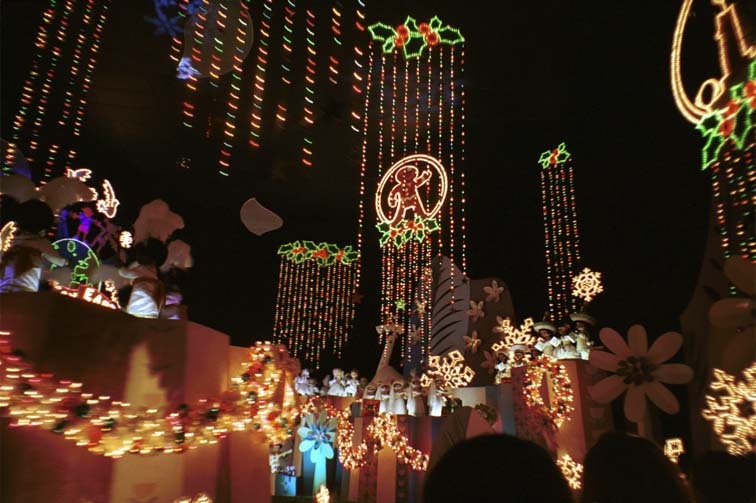 it's a small world was turned over to Christmas Holidays around the Globe. Here's the whole family, lined up for the group photo in front of the Christmas tree. This tree was nearly forty feet tall and right at the head of Main street.